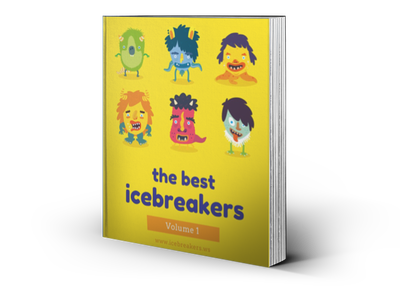 3 Active Games That Use Pedometers - Icebreakers, Icebreaker Ideas, Games, Activities! If you have a few pedometers or activity trackers, try these games. They will give you an intense workout while they gives the audience an intense laugh. Players of this game are trying to cheat some ultra-high scores out of their pedometers while the pedometer is attached to their forehead. How do they get the pedometer to register points? They shake and nod their head like crazy! A way to attach the pedometer to the player’s head. Finding a sweat band for each player, and tying or taping the pedometer to it, is a good solution. Make sure all pedometers are rest to zero. Attach them to all players heads. On the signal given, start the timer and have all players shake and bob their heads as quickly as possible. After one minute has passed, all players must stop moving immediately. Each player removes the pedometer from their head, careful not to jiggle it and influence their score. The player with the highest number on the display wins! This game uses the same idea as above. This time players will have a pedometer on each ankle, but they must try and get the best score possible while lying on their backs. To everyone else, it will look like they are madly shaking their feet and gritting their teeth in a fit of childlike rage. 2 pedometers for each player. A way to attach the pedometer to the ankles of the players. Some pedometers come with wrist straps already. If not, you may be able to put the pedometer in a player’s shoes or socks, or simply tape the device directly onto each of the player’s shoes. Make sure all pedometers are rest to zero. Attach one to both ankles of every player. On the signal given, start the timer and have all players shakes their legs in whatever style seems practical. After one minute has passed, all players must stop moving immediately. Now all players can check their pedometers, adding up the score for each ankle The player with the highest total wins! This game requires the most pedometers — a pedometer on each ankle AND each wrist — but is probably also the funniest AND the most exhausting. A way to attach the pedometers to the player’s wrists and ankles. As usual, make sure all pedometers are rest to zero. Attach a pedometer to both wrists and both ankles of each player. If you don’t have enough pedometers, play this game in turns and record each player’s score. On the signal, start the countdown. All players are trying to get the highest score on ALL pedometers simultaneously, by whatever method possible. That means lightning fast tiny steps on the spot while shaking your arms like they’re covered in spiders. After a minute is up, all players must stop immediately (and, if they’ve been playing this game correctly, they will certainly want to). The player will the highest combined total on all four pedometers is the winner! © 2019 icebreakers.ws - All rights reserved.